Amateur Radio operators in Madison County, Florida are organized to assist Emergency Management with radio communications. Amateur Radio Emergency Services (ARES) maintains VHF, UHF and HF radio stations at the Emergency Operations Center and meets in the EOC on the second Tuesday of each month at 6:30 PM. Emergency communications are provided when regular public service and telephone resources are not adequate to maintain the needed flow of messages going in and out of the county. 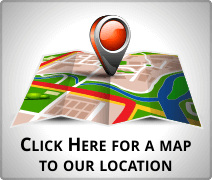 ARES is a statewide and nationwide system of licensed amateur radio volunteers who are trained to provide radio communications in times of disaster from their homes, emergency shelters, emergency operations centers or their vehicles. 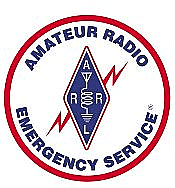 The American Radio Relay League (ARRL) is the national organization overseeing ARES development, training, and deployment in cooperation with state emergency management officials. Visitors are always welcome at the second Tuesday meetings and licensed radio operators are encouraged to check in to the Madison County ARES VHF Net on the Lee, Florida 145.190 repeater (-.600 and tone of 123.0) on Sunday evenings at 9:00 PM local time. Patrick Lightcap, K4NRD, is the Emergency Coordinator for Madison County ARES and may be contacted at 850-973-2313 or k4nrd01@gmail.com.